Have you spoken to your Canon printer today? If not, you should start! While they won't tell you a joke or sing you a song, compatible Canon printers now function with Alexa  and Google Home  to print off handy and entertaining pages using just your voice. Many people know that you can use smart speakers such as Alexa  or Google Home  to turn on your lights by voice command alone. Well now you can ask a range of compatible Canon printers to print content such as colouring pages, puzzles, lined paper, musical staff paper and more. In a modern-day society increasingly dependent on the Internet of Things – where multitasking is the norm, and technology the facilitator, smart printing with voice control is the latest time-saving tool. Intrigued? Read on to find the answers to your voice control printing questions…. Can I print with Amazon Echo? Yes! Providing you’re using a compatible Canon PIXMA printer, you can print with devices enabled with Alexa voice technology: Amazon Echo, Echo Plus, Echo Dot, Echo Show, Echo Spot and Amazon Tap. All you need is one of these Alexa-enabled devices, together with an Amazon account and the Amazon Alexa app. See the latest compatible printers. Can I print with Google Home? Yes! You can now use devices with the Google Assistant built in to print on compatible Canon printers. Compatible devices are Google Home, Google Home Mini and Google Home Max. Download the Google Assistant app to get started – you can use the tablet and smartphone versions. Find out how to print with Google Home. Whether you’re a parent, an independent business owner or a fine art photographer, there’s a printer made for you. Find out which one. Which Canon printers are compatible with Amazon Alexa and Google Home? At the bottom of this guide to voice control printing with Alexa, you can see a list of printers that have voice control capabilities when connected to an Amazon Alexa-enabled device. For Google Assistant-enabled devices, see this guide to printing with Google Home. Which other smart printing apps can I use? Smart printing isn't just about voice control. The Canon PRINT app gives you another convenient way to print images without the hassle of cables or computers. Whether your images are stored on your phone, on your tablet or in the cloud with PIXMA Cloud Link, you can send them straight to your printer. 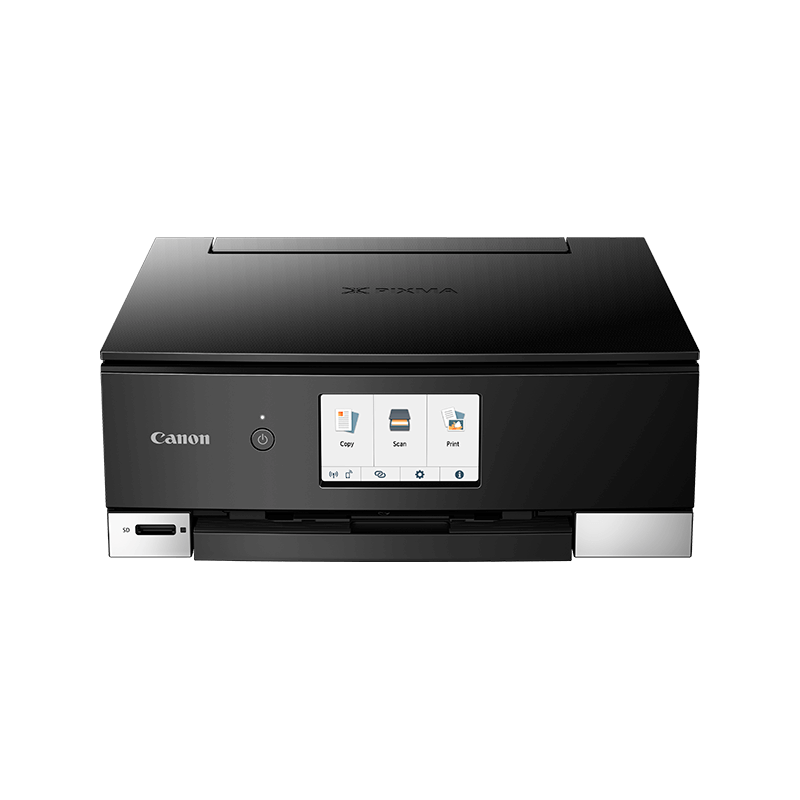 You can also send scans from your all-in-one printer to your phone, and even convert documents to PDF files for easy sharing with others over email. If you have a Wi-Fi enabled camera, you can use the Canon Camera Connect app to quickly import your photos straight onto your phone for easy, wireless printing with the Canon PRINT app. Which voice commands can I use for my printer? Here are five things you can ask your printer to do, hands-free, from the comfort of your sofa. These commands are for Alexa-enabled smart devices, but voice commands for Google Home are similar – just remember to say "Hey Google" instead of "Alexa" before giving a command. If your smart home device needs to know anything else before it prints, it will ask. Once your printer is connected to your smart device, you can use this voice command to print beautiful colouring templates to stoke your creativity. You can specify children’s colouring pages, too. All you have to do is ask, and your Canon printer has a variety of Sudoku puzzles at three different difficulty levels at the ready to make sure you’re never bored. Students will appreciate the ability to print lined paper in seconds. Musicians and music students can even ask for staff paper for musical notation, without having to go anywhere near a computer. It has never been quicker or easier to get organised. The moment you think of an important task, or an item you need from the supermarket, you can print a list template and make sure you never forget a thing. Using this voice command will prompt your printer to report any issues you ought to be aware of. If it's running low on ink, it will even tell you which cartridge needs replacing. See this guide to getting the most out of your Canon printer for more printing ideas. Amazon, Echo, Echo Plus, Echo Dot, Echo Spot, Echo Show, Amazon Tap, Alexa and all related logos and motion marks are trademarks of Amazon.com, Inc. or its affiliates. Google, Google Home, Google Home Mini and Google Home Max are trademarks of Google LLC. Actual voice commands may vary. Canon doesn’t support the text on screen, but you can operate a printer via Echo Show and Echo Spot. Not all functions are available on all products – see Canon PRINT app page for details. Only English and Japanese language support are available in the EN (UK) skill store. Language support may vary in other skill stores.